Professional Fire Protection Services In Wollongong, Sydney Region, South Coast And The Southern Highlands. Est. Since 2002. 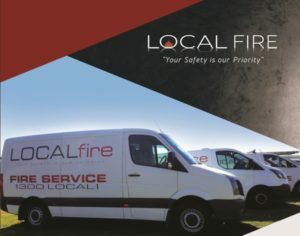 Local Fire is a dynamic fire protection services Wollongong firm with expertise in all aspects of fire protection throughout The Sydney region. We are able to provide a full-service to meet the needs of every sized business. At Local Fire we are professional building certification experts who offer a complete and independent building approval and consultancy service to builders, developers, designers, architects, engineers, other industry professionals, building owners and tenants. All fire extinguishers are designed for a specific purpose. Flow rate tests are conducted annually to check performance according to the system design. Are installed to meet pressure and flow performance requirements where sprinkler systems need assistance for the design criteria. As required council certification is done on an annual basis. The building is signed off to the relevant standards, ordinances and building codes of Australia. Extinguisher training, Fire Warden training, Evacuation training and evacuation plans. must be installed to AS 3786 BCA E2.2a clause 3 and powered by consumer mains. Frequency of fire inspection is annually for building compliance. Block plans and Evacuation plans are required under BCA. Block plans provide essential information for the fire brigade and are required for building compliance. Are designed to meet pressure and flow performance requirements. Flows and pressures are tested annually by an anubar test proving that the system still meets the minimum performance criteria.